Susan and I shopped together for the shoot’s recipe ingredients at United Noodle in Minneapolis. Neither of us had been to United Noodle before and oh my goodness did we have fun! What an amazing store! Susan’s former mother-in-law is Chinese, and a wonderful cook, so what started as a simple errand for recipe ingredients became instead a blast-through-the-past trip down memory lane, as Susan picked up treats for her daughters and reminisced about her and the girls’ favorite Chinese treats. We shrieked and laughed our way through the store as she discovered one ingredient after the other. The ladies who helped us might have been shaking their heads after we left. 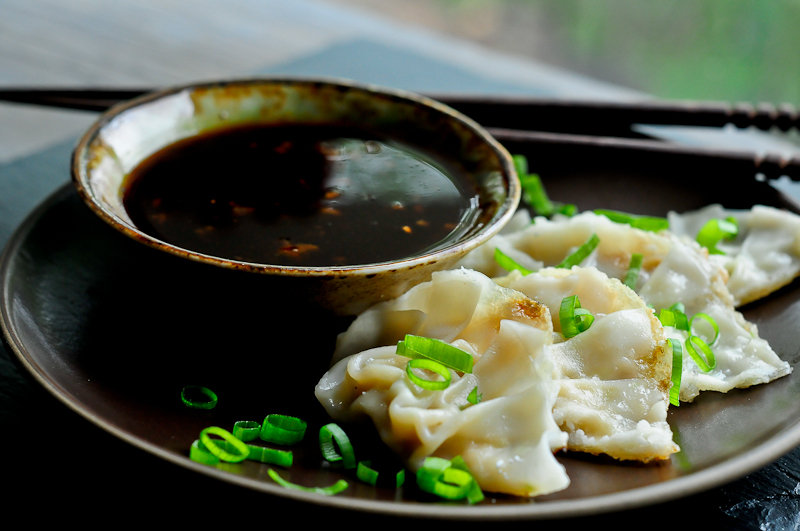 I easily snagged the Asian ingredients I needed for the recipe, including the gyoza skins, ponzu sauce, and neri ume paste I knew I wouldn’t find at the grocery store. As for the duck… It’s not easy to put your hands on fresh duck in Minneapolis. That’s not to say that it can’t be done; definitely check with your local specialty butcher, and ask if they’ll grind it for you, skin and fat included. You want fresh not frozen, because grinding previously frozen meat can result in an overly wet and mushy grind. Given a few ducky barriers, I thought that going with ground pork was a straightforward (and scrumptious!) way to approach this recipe, especially since Chef Chase had suggested that chicken or pork could be substituted for the duck. 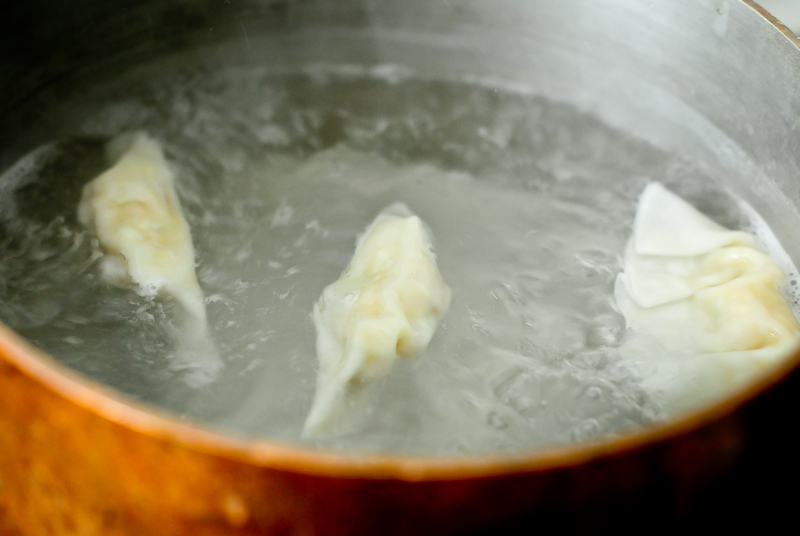 Also new to me was the technique of boiling the dumplings first, then frying them off to finish. The result is a softer-on-top, crispier-on-the-bottom contrast which is utterly addictive. How addictive? My son – granted, a growing teen boy – inhaled 20 of them in one sitting. For breakfast. And said definitively that they were the best potstickers he’d ever had. Stephanie starts by chopping the cabbage. A quick turn through the food processor insures a perfect consistency, important when stuffing the wraps. 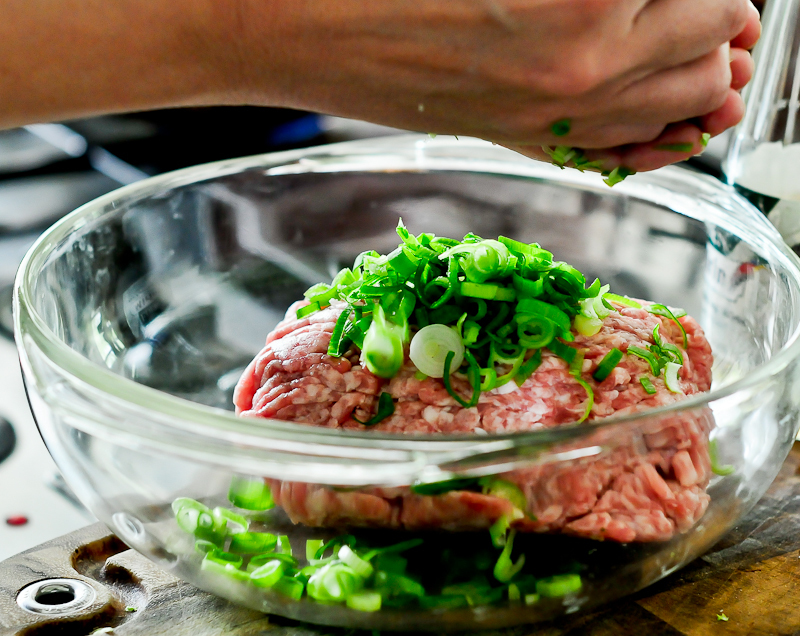 Incorporating the scallions into the meat. Folding the Goyza. Really easy, but a little time consuming. Employ your family members. The folded Goyza, waiting to be boiled. A few minutes in the boiling water. Out of the water, onto the cornstarch. A quick fry to crisp up the bottoms. The dipping sauce is quick to throw together. 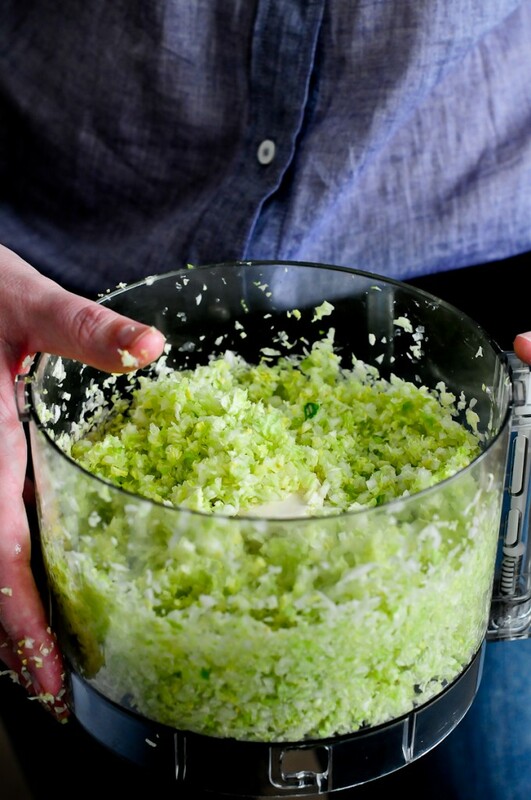 Put chopped cabbage in a colander and toss with 1 tsp. Kosher salt. Set aside for at least 20 minutes to allow for some of the liquid to drain off. In a large bowl, combine 1/2 tsp. Kosher salt, garlic, ginger, scallions, ground pepper, soy sauce, and rice wine. 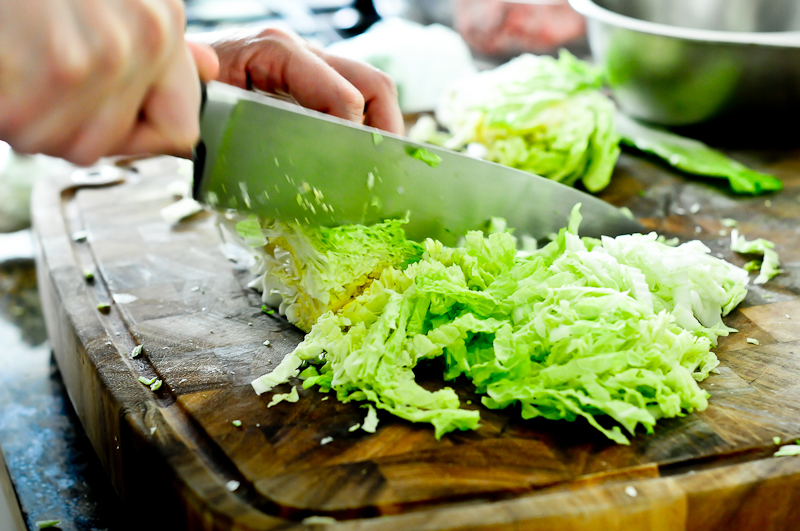 Squeeze as much liquid as possible from the cabbage and add it to the soy sauce mixture. Add the duck and mix gently. 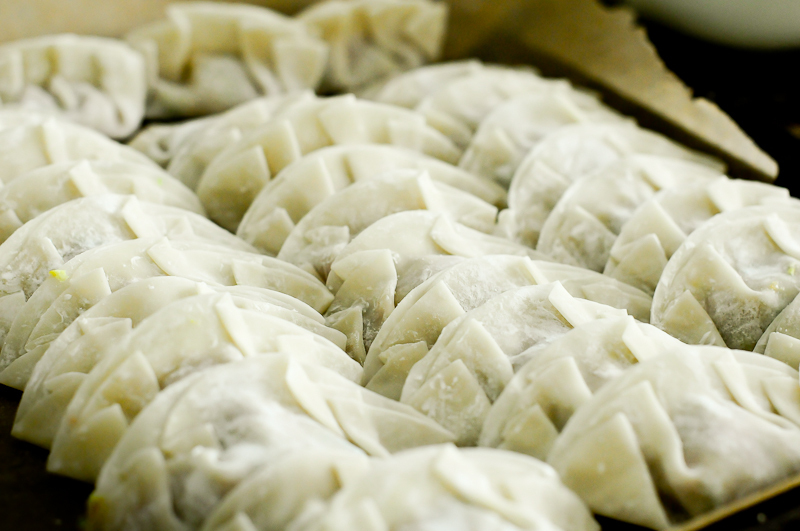 Chill until ready to fill the gyoza. In a small bowl, whisk together the plum dipping sauce ingredients: ponzu sauce, neri ume, and plum sauce. 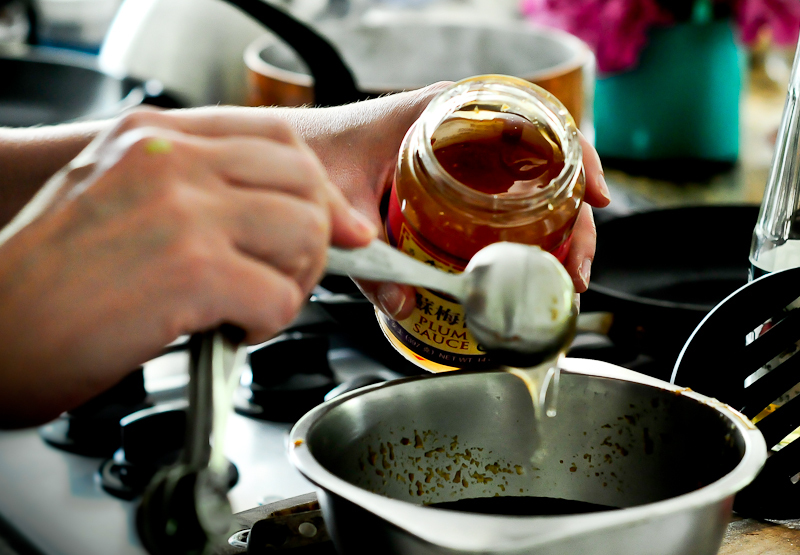 Add the chili oil last, mixing gently. The oil will float on top of the sauce. Bring a large pot of water to boil. Line 2 baking sheets with wax or parchment paper; dust one of the sheets with cornstarch. 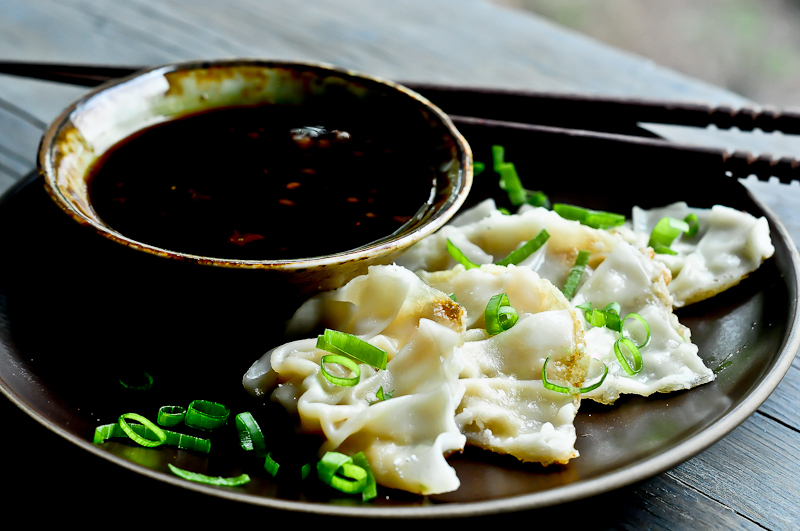 Lightly dampen a towel to cover the gyoza as they are prepared. Set out a small bowl of water. 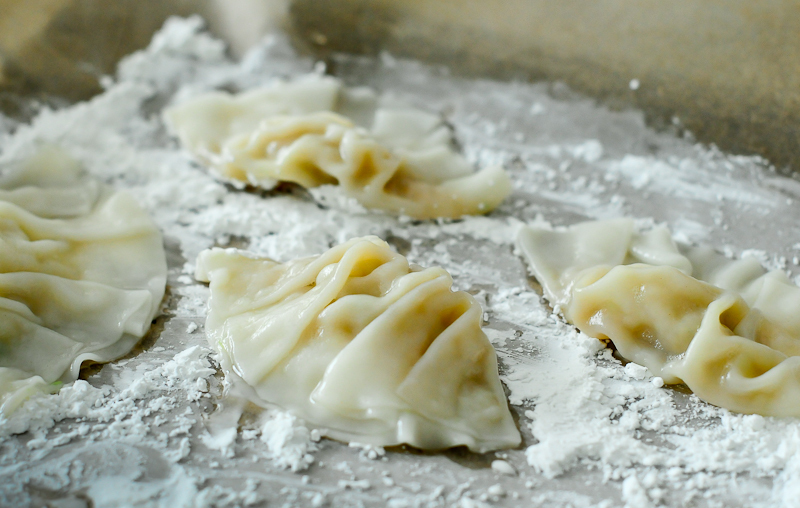 Set finished gyoza on the non-cornstarch baking sheet as you go, keeping them lightly covered with the damp towel. 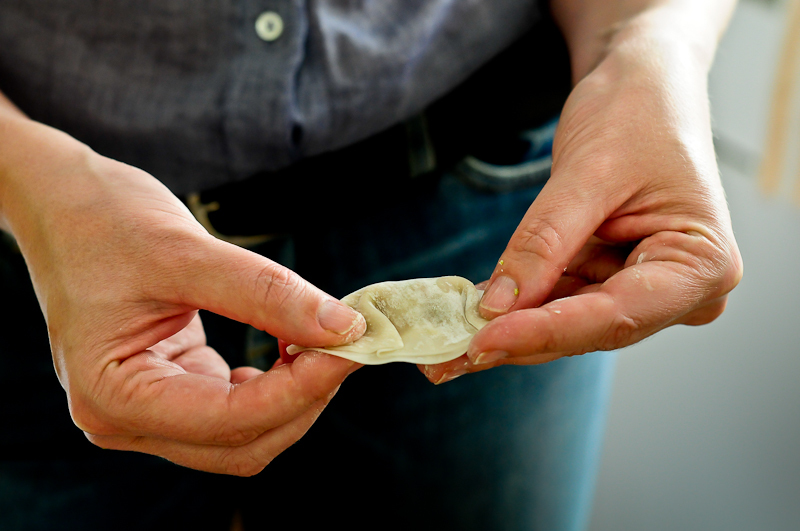 After all the gyoza are filled, boil up to 6 at a time in simmering water for 4 minutes. Using a slotted spoon, transfer to the cornstarch dusted baking sheet as you go. 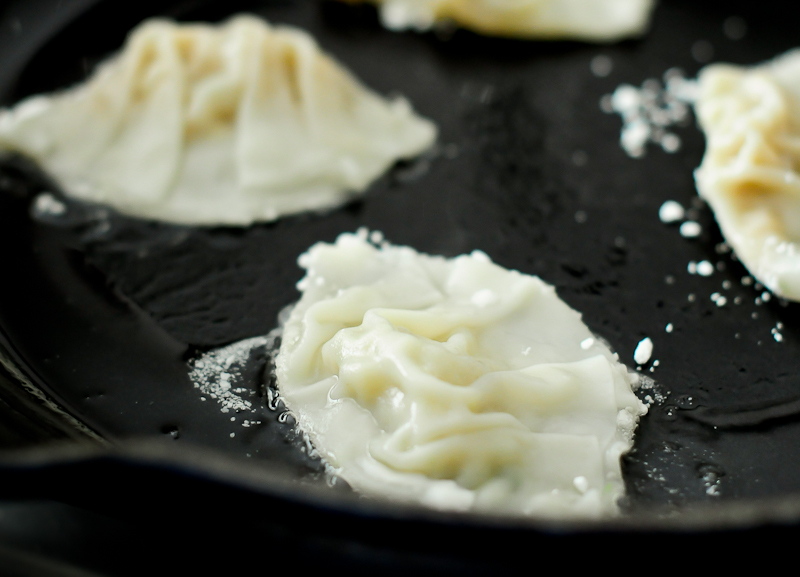 When all of the gyoza have been boiled, heat a large skillet over medium-high heat. Add oil and when it is hot, fry the bottoms of the gyoza, several at a time without crowding the pan, until the bottoms are nicely browned. Serve with dipping sauce. Feel so blessed to be working on this with the amazing Steph! I stumbled upon your beautiful site while googling my way into a recipe using the bottle of “ume ponzu” I just found at United Noodle. To discover that you were right in my own backyard is amazing! Congratulations and good luck–and if you can think of things to do with ume ponzu let me know. United Noodle…one of my favorite places! Thanks so much!